There are various types of agents used in the management of diabetes mellitus. They include insulin and others are oral antidiabetic agents. There are various oral agents and sitagliptin is one of them. It is also called Januvia and belongs to the class of drugs, dipeptidyl peptidase- 4 inhibitor class. It has been found effective in its functions and it can be used in combination with other oral antidiabetic drugs. These include thiazolidinediones and metformin and other drugs. First, it is good to note that this drug was approved in the year 2006 for use in the management of diabetes mellitus type 2 by the food and drug agency the body used in the regulation of various drugs. 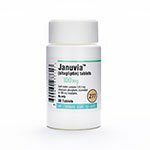 This drug exists in the US market as Januvia. Use of sitagliptin in combination with other oral drugs such as metformin was approved in the year 2007.This drug has been marketed in the US as a combination with metformin as Janumet. The combination of the drug with Simvastatin has been marketed in the US as juvisync. This has been used in the management of diabetes effectively while preventing possible complications of the condition. This drug has been used in the management of diabetes and it has its own mechanism of action. This drug was the first in its class of antidiabetic drugs and it works by competitive inhibition of the enzyme dipeptidyl peptidase-4 (DPP -4).Usually, there are gastrointestinal hormones released after someone eats. These include such hormones such as GIP. These hormones are usually broken down and activated by dipeptidyl peptidase. Through its inhibition, GIP will not be activated and this leads to increased production of insulin by beta cells of the pancreas and also decreased production of glucagon by the alpha cells of the pancreas. This helps in the management of diabetes because it lowers the blood glucose levels to the required levels. It has been shown to have advantages over the other antidiabetic drugs because it has been shown to work in a way that when the sugars approaches the normal levels, the rate of insulin secretion and suppression of the alpha cells reduces and therefore there is less likelihood of development of hypoglycemia which usually develops with other oral drugs used in the management of diabetes. 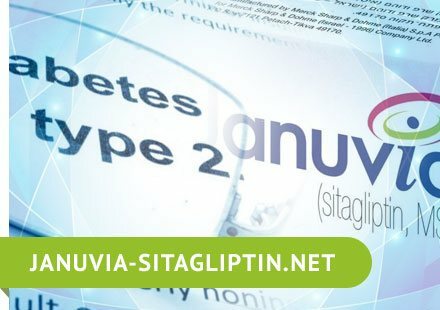 Usually, the levels of HbA1c have been shown to reduce effectively with the use of sitagliptin. When used without combining with other drugs, it has been shown to work less effectively compared with the use of metformin. One advantage is that it causes less hypoglycemia compared to some other oral antidiabetic drugs such as sitagliptin. Usually, this drug is recommended as the second-line drug in the management of type 2 diabetes mellitus after the use of metformin does not work when combined with exercise and other lifestyle combinations. 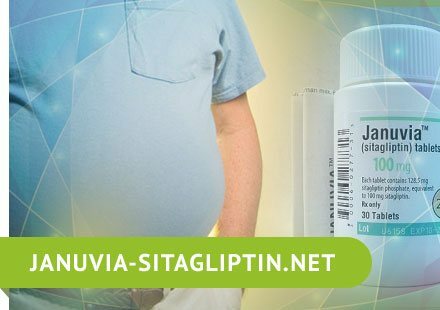 Sitagliptin is an oral drug that is used in the management of type 2 diabetes mellitus. It is used as a second-line drug in the management of diabetes. Sitagliptin works well when combined with exercise and specific diet in controlling the levels of sugar in the blood. It is usually combined with other oral drugs for it to function effectively. This has been shown to be very effective in controlling complications of diabetes mellitus such damage to the nervous system, damage to the kidneys where it can complicate to nephropathy. It also helps in the prevention of damage to the eyes and also preventing damage to the limbs and sexual dysfunction. There is also prevention of cardiovascular diseases such as myocardial dysfunction. This drug also works effectively in the management of diabetes mellitus because It helps in increasing the levels of incretins. These are natural substances which help in increasing the production of insulin and this usually occurs after taking a meal. Usually, the liver makes glucose by the process of gluconeogenesis and this process is usually reduced by these natural substances. It is very important to know how to use this tablet. It is important to read carefully the guidelines provided for the use of the drug. When you do not understand everything about the guidelines, you can always ask your doctor for clarification. It is very important to take this tablet orally either with food or without and it is usually taken once in a period of 24 hours. Usually, the dose of the drug depends on various conditions such as the functioning of the kidney and how the patient is responding to the treatment. It is also important to follow the dosage correctly and ensure that you take it around the same time each and every day. This will help to increase the efficacy of the drug in your body. There are various plans that have been recommended in the management of diabetes and should be followed carefully when taking this drug. They include the meal plan and even the exercise program. While using this drug, it is important to ensure that you keep on monitoring the blood sugar levels and this can be done by even using glucometer at home. This will help a lot and you will be able to report to your physician whenever the sugars remain high despite using the medication. There are many side effects that are related to this drug and are well described in this article. The side effects of the drug are as common even when this drug is used with a combination of other drugs such as metformin. Some of the side effects include nausea, common cold and others like photosensitivity. There is usually a risk of hypoglycemia but this is lower when compared to the use of sulfonylureas. There is usually a risk of hypersensitivity and renal failure when using this drug but the mechanism is not known. Some cases of developing pancreatitis have been reported while using this drug. The risk of developing pancreatitis has been shown to reduce while this drug is combined with metformin. There are also other side effects such as angioedema, urticaria, vasculitis, and arthralgia and back pains. It has been advised when you notice any side effects related to hypoglycemia such as sweating, hunger, feeling of dizziness or even tingling, you should try to raise your sugar levels by taking honey or even sugar. There are certain precautions that you should follow when taking sitagliptin. You should always inform your physician if you have an documented allergic reaction to this drug. This will help to prevent any anaphylactic reaction that might occur. You should also report whether you have an allergic reaction to any other drug before taking a prescription. It is also important to inform the doctor in case of any history of diseases like pancreatitis, kidney disease or heart disease. It is good to remember that you might develop blurring of vision when the sugars fall too low or due to high sugar levels. Therefore, it is very important to ensure that you take caution when engaging in such activities as the operation of machines which require a good and well –functioning vision. There are various drug interactions that affect the efficacy of the drug in that they can reduce the levels of the drug in the bloodstream or even increase leading to toxicity. There are many drug interactions which have been documented such as with the use of beta-blockers such as propranolol or timolol which is used in the management of glaucoma. These drugs usually prevent someone from feeling the heartbeats when the blood sugar levels fall. There are some situations that there can be an overdose of sitagliptin. This one usually depends on various factors such as taking it with alcohol or other drugs. When there is an overdose, there are usually effects in the rhythm of the heart. This usually presents with prolongation of QT interval. Management of this drug overdose usually includes management of symptoms such as using dialysis, intravenous fluids, monitoring of the vital signs and management of any other symptom depending on the presentation. There are certain situations whereby you should not take sitagliptin tablet and they are well described here. If in any case, you have inflammation of the pancreas or even impairment of kidney function, you should not take this medication. You should also take caution when you have an allergy to the drug. Diabetes mellitus is a condition that is usually multifactorial in that it is predisposed by many factors. It usually involves the presence of blood glucose levels in higher levels than normal and if not regulated, it can lead to serious complications. Therefore, it requires everyone to screen regularly to prevent any serious condition. There are many types of diabetes but in this article, we are going to focus more on type 2 diabetes that usually develops due to impaired function of insulin peripherally coupled with decreased production of insulin from the alpha cells of the pancreas. These are the factors that mainly contribute to the development of diabetes mellitus type 2. It has been shown that the pathogenesis of diabetes mellitus is contributed by a variety of factors that interact together thus, at last, contributing to the development of diabetes. This usually involves the interaction of factors within the environment and others involving the genes. For example, a person will be at a high risk of developing this condition when he is exposed genetically and then he leads a lifestyle that puts him at a risk of developing diabetes. This kind of lifestyle includes feeding on a diet that has a lot of calories and also a state of being obese and not exercising regularly. There are several factors that have been shown to contribute a lot to the development of type 2 diabetes mellitus. Age is one of the factors that has been shown to predispose to diabetes mellitus. It has been shown that an age of over 45 years puts someone at a risk of developing diabetes mellitus. Another factor is the BMI. It has been shown that people with a high BMI have a high risk of developing diabetes mellitus type 2.It has also been shown a family history might predispose one to get diabetes mellitus. Another factor includes the race whereby some people have been shown to be more predisposed than others. Lastly, women who have polycystic ovarian syndrome have been shown to be at a high risk of developing diabetes mellitus. The polycystic ovarian syndrome is a condition that is usually characterized by the presence of bilaterally enlarged adnexia, obesity, and hirsutism. It usually leads to the development of insulin resistance. This leads to an increased risk of diabetes mellitus. There is a great influence of genetics in the development of diabetes mellitus. This is not fully understood but it has been proposed that some genetic defects contribute to the failure of beta cells of the pancreas. It has been shown that having depression plays a very big role in the development of diabetes mellitus type 2.People who are depressed are likely to compensate for their emotions by eating more food than it should be especially more sugary foods like chocolate and this might contribute to increased weight gain hence leading to the development of obesity. Also, drugs or medication use in the management of depression has been shown contribute to weight gain. This leads to the development of insulin resistance and this eventually might lead to the development of diabetes mellitus type 2. Schizophrenia has been shown to pose a risk for development of diabetes mellitus. This is because of defects involving the signalling of protein kinase which impairs the function of insulin in regulating the levels of glucose. Epidemiology refers to the distribution of disease determinants. According to the latest research in the United States, it has been shown that about 30 million people from the whole population have acquired diabetes mellitus. It was also shown that about 80million people have pre-diabetic levels of glucose. Diabetes usually presents in various ways such as polyphagia, increased urine output, the increased appetite for food and other complication signs. Diagnosis of diabetes mellitus is based on the history, clinical presentation and laboratory measurements. Laboratory measurements include fasting blood sugar. You can also test the blood sugars after an oral glucose challenge. You can also measure the random blood sugar levels in a person to determine whether the person is diabetic or not. It is very important to screen someone for diabetes in some situations because they could be a risk factor for other complications. Any person who has recorded a high blood pressure should be screened for diabetes. Another reason to screen someone for diabetes is when they have a high body mass index. There are various goals of management that include preventing complications. Management involves the control of blood sugars using an oral anti-diabetic drug. There is also the role of monitoring the blood pressure. There is also the development of a meal plan for the individual who is suffering.